I've been having a hard time finding my Christmas spirit this year, I'll admit it. I think it's just because I've been so busy, between blogging and other writing work and the Intrepid Junior Bloggers and the laundry and the dishes - somewhere in the midst of all that my Christmas spirit went for a walk, and I didn't think it was coming back. Oh, the presents have been bought and wrapped, parcels shipped and Christmas cards mailed. But the feeling I get every year has been missing. I was afraid it wasn't going to show up this year, like the guest you hope will attend your party but never arrives. I was wrong, though. My Christmas spirit showed up yesterday, and in the strangest of places - at The Centre of Hope's Christmas party for their patrons. I found out about the party on The Centre of Hope's Facebook page. I posted to ask if there was any chance I could attend, and they graciously invited me. I was very excited, as I've written about some of our homeless population before, and I was hoping to perhaps see some of them again, and maybe hear some new stories, too. I was thinking that I'd listen to some stories, meet some new people, and just hang out with them for a bit. What I didn't expect was to find my Christmas spirit hanging around that humble little blue building on Franklin - and yet there it was, waiting for me to find it. I guess when it took that walk it ended up there, and was just hoping I'd show up to claim it. I walked in the door at the Centre of Hope yesterday and again steeled myself a bit. I still feel a bit anxious about all this at times - not about the homeless, but about how they will see me. A woman who is obviously not homeless, obviously clueless about their lives, obviously out of touch with their reality - why would they speak to me? After a few moments, though, I realized once again how just like everyone else they want to share their stories with someone who is willing to listen. That little building was jam-packed yesterday. Christmas carols were being played over the sound system, and lunch was being served. Backpacks, packed by local school children, were being given out - backpacks full of food and socks and hats and toiletries. It felt no different from every other Christmas party I've been to this year, and yet it was different - it was better. It felt like family. It felt like community. I wandered around the room, struck first by the memorial wall, a space dedicated to those who lived, and sometimes died, on our streets. That wall impacted me deeply as gazed on those beautiful faces in the photos and then looked around the room. These people had been their family, their community. Their loss was real. Their loss mattered. These people, now gone, were not nameless, faceless individuals who approached me for change in the Safeway parking lot. They were people with names and stories and histories and laughs and tears and all the rest. They were no different from the people standing in the room - or me. I began then to speak to a few of the patrons, those who were willing to speak to me. Some shied away - answering questions vaguely, if at all, and I can't blame them. I'm sure I seemed like a nosy interloper, someone who could never understand their experience, and they're right in that sense. If they seemed unwilling to talk I would just quietly move on, and see if anyone else would like to talk - and I found so many. I would open up the conversations by telling them I'm a writer. This got a lot of interest, with questions being asked about who I write for (myself!) and what I write (whatever I want!). When I explained that I wanted to hear their stories - where they came from, their life now, what they were doing with their days - the stories would begin to flow. In fact they flowed so strong, so easily, so freely, that I felt a bit overwhelmed at times by the sheer number and depth of those stories. Every person has a story, people. Some stories are longer, and some are shorter. Some are more poignant. And some stop you in your tracks as you think about what little separates you from the story teller. I met a man who had been in jail for a year, and has been out for just one week. He told me how it had been a good experience for him, necessary, as it had caused him to stop the drugs and alcohol, and he had cleaned up. Now he was focussing on getting his life in order - getting ID, finding work, and, eventually, a place to live - so his teenaged son could come live with him. As he spoke I could see the person within who was truly focussed on this goal, who could see that the time in his life to make a choice had arrived, and that he was determined to achieve his goal despite the obstacles in his way. He told me he felt healthier, mentally and physically, than he had in years - and I believe it. I also believe in him, and I think he has a real shot at reaching his goal. I told him that I hoped it worked out for him, that I hoped he achieved his goal - and, at the risk of sounding condescending, I told him I believed in him, too. Other people might take that the wrong way, but him? He thanked me. He said it felt good to know someone believed in him. He seemed touched that I cared. He has no idea how much I hope he can do what I know he can. He has no idea how much I want for him to change his life and become the role model I know he can be for his son. I ran into the young man I had met at Homeless Connect, the one who had surprised me with his intelligence. He remembered me, so I told him I had written about him, and he asked what I wrote. I told him that I had written that he impressed me - that I thought he was bright and eloquent - and that I didn't think he should be on the streets. I told him that I thought he had potential, and I still do. He seemed pleased by that, but not surprised - he said he'd heard that a lot. When I left a bit later I told him to take care of himself, and he said "you too, dear" - a lovely sentiment from a man young enough to be my son. I spoke to a young man who loves to snowboard, and who had been in a terrible dirt biking accident at the age of 12 that left him with severe injuries that haunt him to this day. I spoke to a woman who would not tell me her story, who told me that if was to be written she would be the one to write it, but who spoke to me of her struggle to find herself, to learn about who she is and why she is the way she is (a struggle I am all too familiar with on my own personal level, people, and one I think we all encounter). Her honesty was so amazing, though, so open and real. She told me about finding love, introduced me to her "old man", and told me about how he had changed her, and changed her life. Her love shone in her eyes, and I was humbled by it. I saw a love in her that was pure and true and fragile and beautiful. She was, quite simply, beautiful in every sense. A young woman walked past me and said "Hey, you should write about me!". I asked what I should write about her, and she told me I should write that she is the youngest, the baby sister of everyone on the street - and so I write about her, a young woman just a few years older than my Intrepid Junior Bloggers, and as I write I think of her lovely face, so like the faces of my own girls. I met a man who told me about how he had been in university pursuing an arts degree when he had to drop out due to finances and life changes. He was so soft-spoken I had to lean close to hear him, a man who seemed too gentle to be living on the streets, too soft for such a hard life. He spoke to me of a life of dichotomy, from the arts to alcoholism, from meeting famous public figures to sleeping rough. He captured my heart with his gentle manners, his kind words, and his shining intelligence. He told me he enters treatment this week - and I so hope that he finds whatever he needs to heal. He is one of those people you can't help but like, and I hope the next time I see him that he has a place, and a job, and peace. I was a bit saddened to not find the writer I met a few weeks ago, as I'd hoped to talk writing with him. I was saddened to not find my new friend, the one who told me she loved me, as I wanted to wish her in particular a Merry Christmas. I suppose I hope that they have moved on to other things, that the writer was busy at his new job, and that my new friend was somewhere warm with her friends. I would have liked to see them - but I hope that just maybe them not being there was a good sign. Just before I left I encountered another young man I had met at Homeless Connect. He was the young man who had told me all my questions were stupid (and he was, of course, quite right) but who had answered them anyhow. He had just gotten his new backpack, and when he saw me he dug through it, pulled out a candy cane, handed it to me with a smile, and said "Merry Christmas". And there it was, people. That elusive Christmas spirit of mine had just tracked me down. I looked at the young man, took the candy cane he offered, and said "Merry Christmas" - and I meant it. I had needed this party with this community, you see. I had needed to be reminded that Christmas wasn't about gifts or trees or carols or garland. It's about family, the kind of family these people have forged with each other. It's about community, the kind of community these people share with me every time I meet them. It's about hope, the kind of hope dispensed at The Centre of Hope, and the kind of hope I saw in the eyes of every person I met who told me of pursuing treatment, finding work, finding a place to live, or changing their lives. 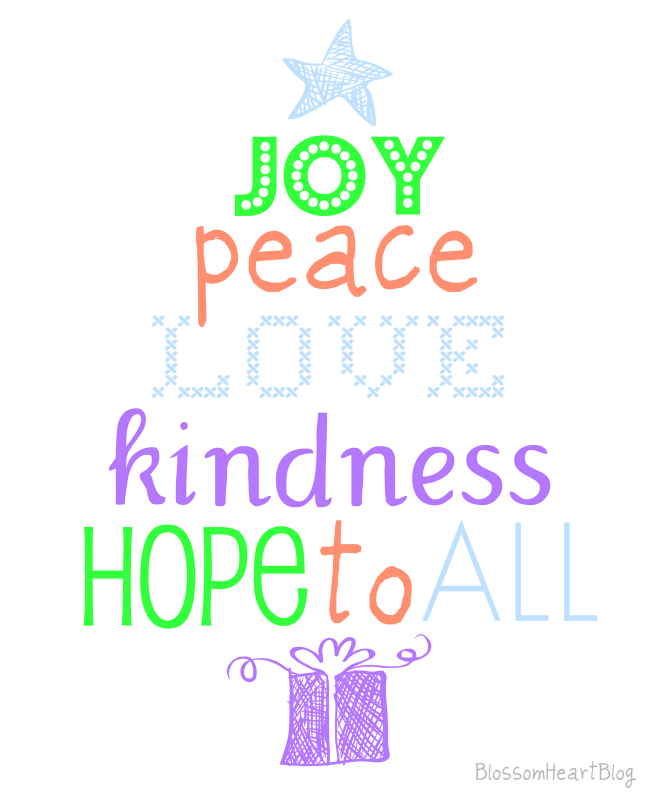 Christmas is about "inspiring hope through love, kindness, and acceptance" - which just happens to be the motto at The Centre of Hope. Christmas this year for me became about a party in a humble little blue building with people who showed me the kind of dignity, respect, and kindness that I suspect they themselves experience all too rarely - and yet they extended it to me. Christmas this year is about people who have captured my heart because they allowed me into theirs. When I left one man asked if I could come back every day just to brighten things up a bit. I said I couldn't come every day, but that I would be back to hear more stories - and I will. I think, people, that each of us discover something in our lives that we are passionate about. For some it is the local animal shelter, and for some it is a children's charity. It touches us for some reason, and it becomes something important in our lives, something we will fight for and work for. For me, this year, I found that passion. I am passionate about these people who are so honest, so kind, so friendly, so willing to share, and who welcome a woman writer into their community even when she clearly hasn't got a clue. I am passionate about The Centre of Hope and what they do, and I hope that I can help them achieve their goals, too (like a new building to replace the one which is so obviously woefully inadequate for their needs). I am passionate about the people who work there, who welcomed me and made me feel like I belonged. I am, however, most passionate about hope - the kind of hope that never gives up, the kind of hope that never relents, the kind of hope that heals - the kind of hope that is all too rare in this world, but the kind of hope that shone in the eyes of the young snowboarder, the man newly released from jail, the woman who found love, and the young man who called me "dear". I share that hope with them - and now I share it will all of you, Fort Mac. 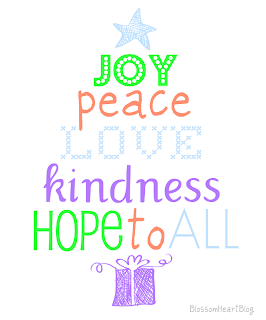 I share hope with you this Christmas, just as it has been shared with me. It seems my Christmas spirit decided to hang out with hope this year, and both have come back home to me - thanks to the Centre of Hope, and the wonderful people it helps every single day. for allowing me to attend the party! of our Fort McMurray community. Thank you Theresa! We are one big family at the Centre! |Everyone who comes into the Centre is welcomed. We are so glad we were able to help you feel that! We wish you a VERY MERRY CHRISTMAS... and look forward to seeing you in the New Year!